Fall in Love with MCM! This Thursday is February 13th, and we have everything you need to get ready to help you show your loved ones you care this Friday! Rainy Showers Bring You Flowers! Need a bouquet for that special someone in your life? We’ve got you covered this Thursday at MCM.We’ll have flowers available from Floreria la Poblanita and Home Sweet Flowers. That’s right–we’ll have not one but two amazing flower vendors ready to help you find just the right bouquet for the sweetie in your life. 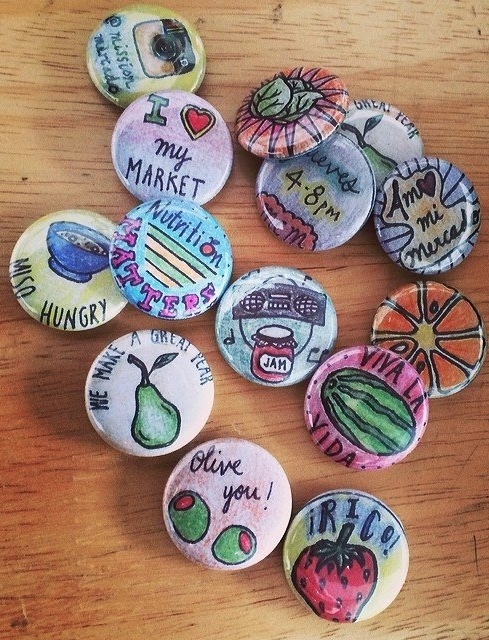 Floreria la Poblanita has been with the market since 2010! Locally based out of their shop near 24th and Mission, they’ll help you find some romantic roses or other gorgeous stems for your honey! Do you know the meaning of a Tulip? It’s a declaration of love, of course! Home Sweet Flowers will bring mixed bouquets and flower bundles with romantic meanings. 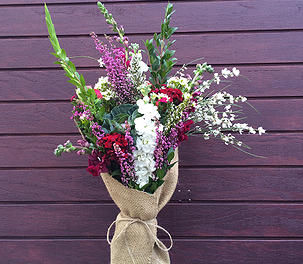 All their flowers are California grown and wrapped in burlap. Come on down and pick out something nice for your sweetie pie! …and even if you don’t have a special someone in mind just yet, you can always find a great lookin’ date at the Palmero Date Shop! Check out her masterpieces at the MCM booths, and take one home for just $1 (suggested donation). Thank you very much to Hannah for all of her hard work! Flowers & gifts for Mom! 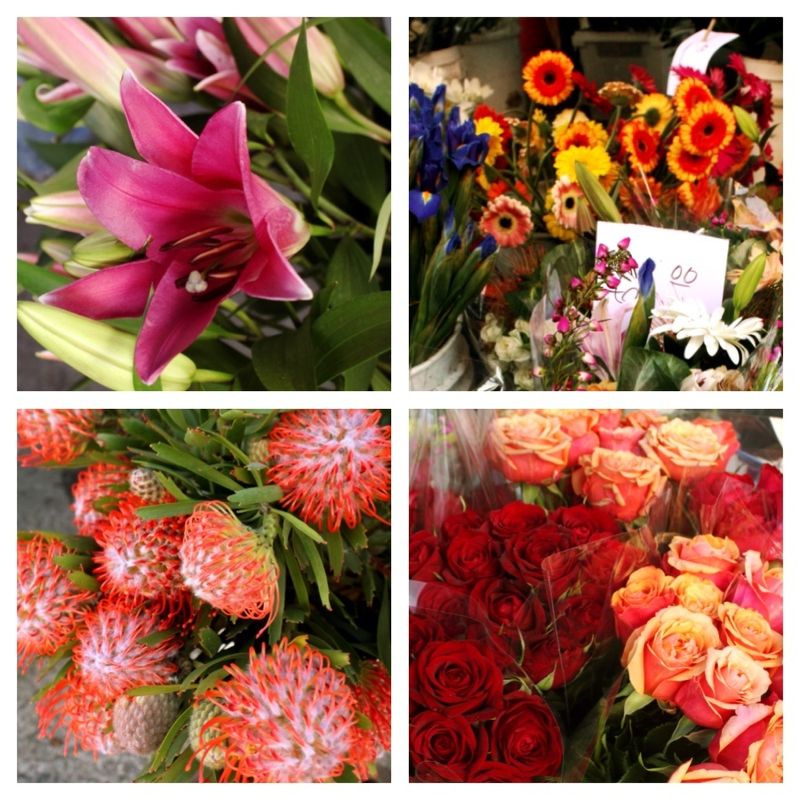 Right in time for Mother’s Day, our new vendor Medrano Farms offers a variety of fantastic flowers that are perfect for Mom! In addition to their amazing King Proteas, Irises, Gerber Daisies, Ranunculus, Roses, and other fine flora, they are planning to bring special Mother’s Day bouquets this Thursday (May 9th) that you can purchase for $5-10! The Medrano family has been running their farm out of Monterrey County for the last twelve years. The family started out doing wholesale, and now sell at a few markets in San Francisco. We feel very lucky that they will now be coming out to MCM every week. When asked what he wanted to share with our blog’s readers, David Medrano’s response was simple: “Come and enjoy the beautiful flowers!” Show your love for Mom, and support a local farmer! If you’re looking for a gift for Mom, we have plenty of awesome presents available this week to show mom you love her while buying locally! 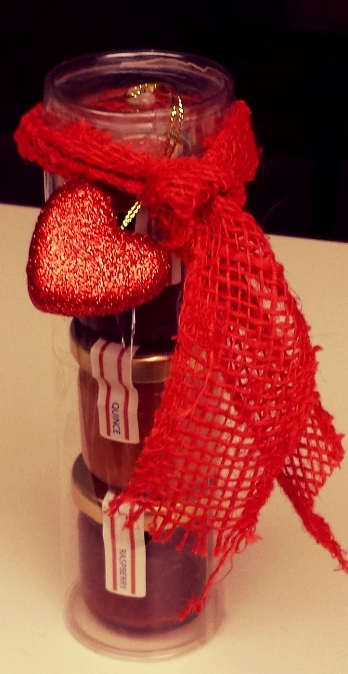 Pick a peck of pickled goodies with a gift box from Jarred SF Brine! You can mix and match three 9-oz jars of pickles for $24. If Mom deserves a little pampering, pick up some all-natural vegan body care goodies from En Vie Naturals, including soaps, scrubs, and lotions. Animal Instincts Apparel will make their monthly appearance at MCM this week (2nd Thursdays)! Their line of screen printed tees, onesies, and sweatshirts feature adorable animal designs created by owner Jamai Lowell. These awesome designs are whimsical and unique, and they come in adult sizes for Moms and onesies for babies! Artist Jen Kindell has beautiful tea towels and canvas bags, all screen printed with her designs featuring seasonal produce. Her newest creation is a limited-edition blood orange tea towel ($12 each, pictured). Her tote bags are $15. We are often preoccupied with questions about what goes in our bodies: where does our food come from? How is it produced? What are the values of the person responsible for bringing it to our tables? Yet it is less common to see us so preoccupied over what we put ON our bodies, where the largest organ in our bodies resides: the skin! 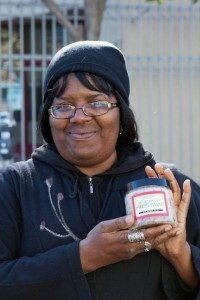 Check out her products online at envienaturals.com and come get the rare opportunity of talking to a beauty products manufacturer next Thursday at the market! Give the gift of healthy body care with locally-sourced, organic soap from Rubber Ducky Soap Co., Sensory Revolution and aromatherapy, and natural sprays, oils and lotion from En Vie Naturals – Today 4-8pm!